After making the initial decision to explore your ancestry and genetic origins, you are faced with a multitude of nuances, separating one ancestry DNA testing company from the next. African Ancestry and National Geographic Ancestry Test are both excellent choices for the task at hand, but one will certainly come out on top once you identify your specific needs and expectations. Their services, although high-quality and professional, differ in small but important aspects, even though they seemingly do the same thing. Our comparison will help you spot those differences between African Ancestry and National Geographic Ancestry Test, allowing you to make an optimal and fully personalized choice. 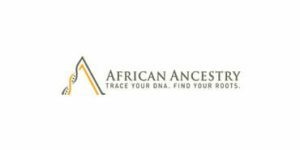 African Ancestry is a DNA testing provider that enables its users to explore their potential African heritage by following their paternal and maternal lineages up to 2,000 years in the past. Read our dedicated African Ancestry review to learn more about the testing solutions the company has to offer and the overall quality of its ancestry testing service.